The Typographic Matchmaking in the City book offers a brief range of essays that discuss the complex topic of public space from their respective authors’ individual experiences and perspectives. Through specific anecdotes, they elucidate the problems and implications of designing for “public space” and multicultural communities. These essays frame and contextualize the research and designs presented by the five teams participating in the Typographic Matchmaking in the City project. They briefly shed light on the function and role of text in architectural spaces, discussing specific historical and contemporary examples from cities like Beirut, Dubai, Muscat, Cairo, Rotterdam and Amsterdam, and addressing the various roles of monumental typography in public space. discussing specific historical and contemporary examples from cities like Beirut, Dubai, Muscat, Cairo, Rotterdam and Amsterdam, and addressing the various roles of monumental typography in public space. The Arabic Font Specimen Book is the first overview of Arabic type available on the market. The book also provides historical information, guidelines for various applications using (dual-script) type and guidelines for type designers. Each type specimen has concise historical information about its designers, technical specifications and manufacturers. Progress is built upon the achievements of predecessors. The Arabic Design Library series focuses on inspiring design achievements from the Middle East and North Africa. It aims to highlight the work of prominent Arab typographers, graphic designers and illustrators. 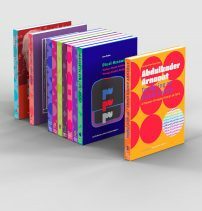 With this series of concise monographs, Khatt Books strives to establish a visual record of Arab design history of the 20th century, and pave the way for critical writing, by Arab authors, on design from the region. Typescape travels 4 from Edo Smitshuijzen on Vimeo. Typescape Travels 3 from Edo Smitshuijzen on Vimeo. Typescape Travels 1 from Edo Smitshuijzen on Vimeo. Typescape Travels 2 from Edo Smitshuijzen on Vimeo.